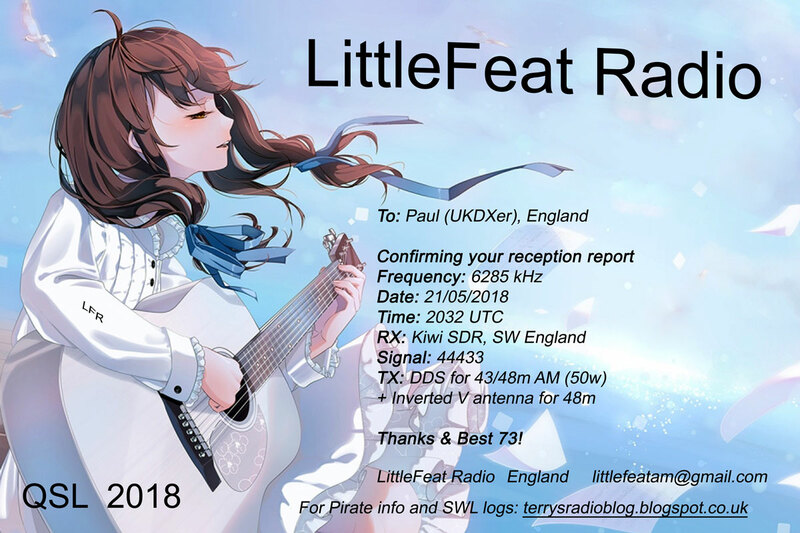 eQSL received for reception recently of Little Feat Radio. I have noticed propagation has improved recently with short skip conditions making a long-awaited return. 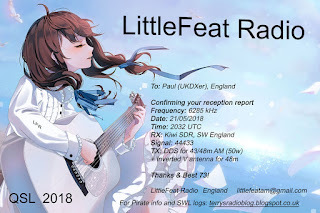 Many thanks for the great QSL.